Immunity is a state of having adequate biological defenses to fight infection, disease, or other unwanted biological invasion, all the while maintaining proper functioning of organs and organ systems so that they may not develop life threatening disorders. Immunity of your body is present by the virtue of the immune system, which consists of several lines of defense within the body. The most important and effective of these is the lymphocytes or white blood cells that fight against foreign invasion of the body. How to take manuka honey to boost immunity? Manuka honey, is a special kind of honey. This honey is prepared from the nectar of wild Manuka trees found in New Zealand. Manuka honey provides a number of health benefits, due to various compounds present in it. One of the most important of these is methylglyoxal, which has antibacterial, antifungal, antiseptic, antimicrobial and other properties. The function of the immune system is to protect the body from foreign pathogens, such as bacterial or fungal infections, as well as from other damage within the body, such as in the case of oxidative stress or cancer. Manuka honey aids the immune system in this function both directly and indirectly. Manuka honey is an extremely potent antibacterial, and is effective against a number of specific bacteria that cause common diseases. Helicobacter pylori is one such bacteria that is very common and causes digestive disorders in the stomach lining such as gastritis and peptic ulcers. 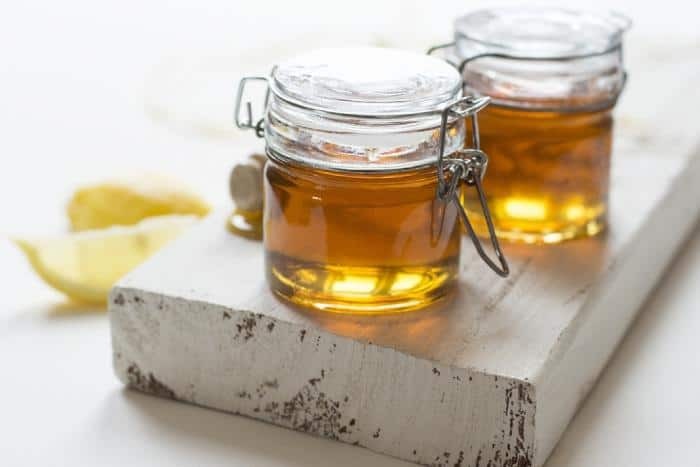 Studies show that manuka honey could be effective in controlling the growth of this bacteria in the stomach, especially with some of the strains of the bacteria that have become resistant to the commonly used antibiotics . Another common bacteria is Clostridium difficile, that is known to commonly causes disorders in the intestine such as diarrhea. There are three different strains of this bacteria that affect humans, and manuka honey is known to be an effective against all three of them . Manuka honey is also known to be effective against viruses. Influenza, commonly called the “flu”, is a disease caused by the Influenza virus. It is a serious threat to our health. Manuka honey is effective against Influenza due to its anti-viral properties. Research concludes that manuka honey may have a potential medicinal role in the treatment of Influenza, due to its potent inhibitory action on the virus . In addition, manuka honey is found to also aid in reducing the growth of certain fungus, thus preventing and treating fungal infections. Fungal infections are mainly those of the skin, nails or scalp. Honey reduces the rate of growth of fungus and also stops the production of toxin from the fungus . Superficial fungal infections such as ringworm and athlete’s foot can be treated readily by the application of honey . Manuka honey possesses potent anti-microbial effect that helps in fighting infections caused by bacteria, virus and fungi. Chronic wounds are those that get arrested in one of the stages of healing, and the healing does not progress further, thus effectively leaving the wound open and often in an extended inflammatory condition. There is a fine balance between the rate of production and degradation of molecules and compounds such as collagen during the entire process of tissue repair. When there is a disruption in this balance, a chronic wound is created. This is case where the immune system of the body fails, and needs to be aided to return to its normal functioning by an outside agency. A study conducted in 2012 explores the potential use of manuka honey in the treatment of chronic wounds, and the results seem to be promising . The state of chronic inflammation in present in such wounds primarily due to the accumulation of certain specific types of white blood cells called neutrophils. The neutrophils accumulate in the absence of a proper uninterrupted healing process.In these areas, the prolonged presence of these cells contributes to a disordered network of regulatory cytokines. Cytokines are compounds and molecules involved in healing . Manuka honey contains several anti-oxidant compounds that help in reducing the damage caused by the neutrophil accumulation in a local region of the body where the chronic wound is present. This reduces the inflammation in the wound upto a certain level. Further, manuka honey stimulate another type of specific white blood cells called monocytes. Monocytes are the cells in our body that are the first responders to any kind of infection or inflammatory signal within the body. Manuka honey acts on these cells and promotes the production of cytokine compounds. TNF-α plays a very important role in the regulation of immune cells in our body. The release of this molecule enables some progression in the stagnant status of the wounds in question. The neutrophil numbers in the region further decreases, thus reducing inflammation. By this mechanism, manuka honey exhibits a strong anti-inflammatory activity. Manuka honey carefully modulates the inflammatory process so as to hasten wound healing. Examples of cytokine compounds produced by the action of manuka honey on monocyte cells are TNF- α (Tumour Necrosis Factor Alpha), interleukin-1 beta (IL-1β), and interleukin-6 (IL-6). Of these, TNF-α is the compound produced most abundantly. A study conducted in 2007 was done on rats to study the effect that manuka honey has on the level of blood cells present in plasma. The findings of this study showed a lot of promise. Manuka honey was fed regularly to these rats, and an elevation in the level of red blood cells (erythrocytes) was found in the blood. This is believed to be due to the iron that is present in honey . Another similar study also conducted in 2007 showed enhanced immune response in rats are were on a regular honey diet. Increase in the number of lymphocytes and neutrophils was observed. Both of them are specific types of white blood cells involved in the protection of the body from foreign pathogens. This gives credibility to the claim that declares manuka honey as a “wonderfood” and highlights its immune boosting properties . Manuka honey stimulates the function and increases the number of immune cells. Proteins present in manuka honey boost immune function. Oxygen is important for survival, but only when it is in the form of O2. In other reactive forms, it can cause a lot of damage to our tissues. Reactive oxygen species are continuously produced in our body as by-products of essential reactions, but these compounds containing reactive oxygen are also simultaneously detoxified. When there is an imbalance, it results in the reactive species getting accumulated in our body and causing tissue damage. This is called Oxidative stress. Oxidative stress in our body increases as we age, and also occurs in cancer, Parkinson’s disease, Alzheimer’s disease etc. Manuka honey protects our body from oxidative damage, due to its high anti-oxidant activity . It reduces oxidative damage, and may provide an alternative supplement at an early age to improve oxidative status of the body . Oxidative stress causes a lot of damage to our body, organs and our tissues. One of the organs most severely affected by oxidative stress in a lot of cases is the liver. By preventing excess of oxidative stress, manuka honey helps in protecting these organs such as the liver, and thus helps in the repair and maintenance of our organs and organ systems. This is an extremely vital role of the immune system. There is also some evidence to suggest that due to the close connection the oxidative stress on the body has to the greater risk of developing cancer, manuka honey is also an effective means of preventing cancer, and also many other severe diseases and disorders . Manuka honey works as an excellent antioxidant and helps protect from oxidative damage that is the cause of many diseases. There is no specific dosage for manuka honey. Its safety has been tested in a study conducted on 20 healthy individuals between the ages of 42 and 64 years. The study concluded that regular consumption of manuka honey (approximately 20g) had no adverse effect on the health of their subjects and is perfectly safe .Diabetic patients can also take manuka honey on a regular basis, with careful management of their blood sugar levels. For best results, 1 teaspoon manuka honey can be consumed daily 1-3 times, between meals . It should be either taken straight from the spoon, or by adding it or cold or lukewarm water. Some people may have an allergy to honey, and thus a patch test is recommended 48 hours before the consumption of manuka honey to ensure safety. Botulism poisoning is a serious condition that can arise if manuka honey is given to children below the age of 12 months. Hence it is not recommended. While it is perfectly safe for diabetic people to consume manuka honey, a strict check on blood glucose levels should be kept as manuka honey may increase sugar levels in the blood. Manuka honey aids the immune system in fighting against foreign particles that attack the body, by its extremely potent antimicrobial action. Studies show its effectiveness against a lot of common bacteria that cause a number of ailments. Due to the presence of methylglyoxal, manuka honey also is effect against viruses as well as fungal infections. In addition, manuka honey has immunostimulatory properties. It gives a boost to the immune system to fight more effectively against pathogens and also reduces prolonged inflammation in the body.